1. Treat your business...like a business! 2. DO something to grow your business every day. 4. Work with the workers. 5. Treat TripleClicks as YOUR store. 6. YOU succeed only if THEY succeed. 7. YOU make it happen, no one else. 9. Open your eyes to your potential. 10. Set goals...and publish them! 11. Have a plan (a realistic plan). 12. Winning starts with beginning. 14. Send praise down (and criticism up). 17. Don't major in minors. 18. Don't be a negative thinker. 19. Some will, some won't. So what?! Someone's waiting! Next! 20. Persist until you win. Over the last 60 years, literally millions of people have participated in our type of business. And through many years of trial and error, and hundreds of millions of dollars spent on figuring out what works and what doesn't, we have a very clear picture of what leads to success. 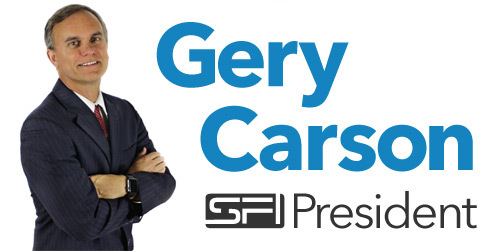 Likewise, we have established our own set of rules for success based on our 19-year history and the investment of literally millions of dollars and hours by SFI and its affiliates. I have distilled for you all of this into the following "SFI Rules Of Success" (which I've embellished with some of my favorite quotes). And so it's very simple: If you want to SUCCEED, you must follow these rules. If you want to risk FAILURE, ignore them.